Don't let bad baggage handlers ruin your clubs! make traveling with your personal clubs safer with the Club Glove trs ballistic last bag. 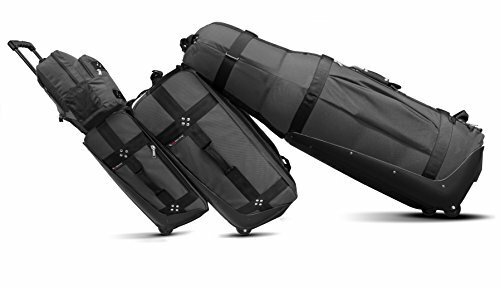 It is designed to accommodate almost every golf bag and be virtually indestructible. It is made with military spec fabric, but is also easy to transport. Contains high quality four panel seatbelt style webbing with diamond pattern rivet reinforcement. It also contains patented high-impact plastic wheelbase with integrated support and in-line skate wheels and bearings for smooth and quiet transport. The best travel cover to transport high-end golf bags.